The crock-pot is my favorite kitchen tool. I use it every weekend and no matter what I seem to throw into it, everything turns out fantastic! 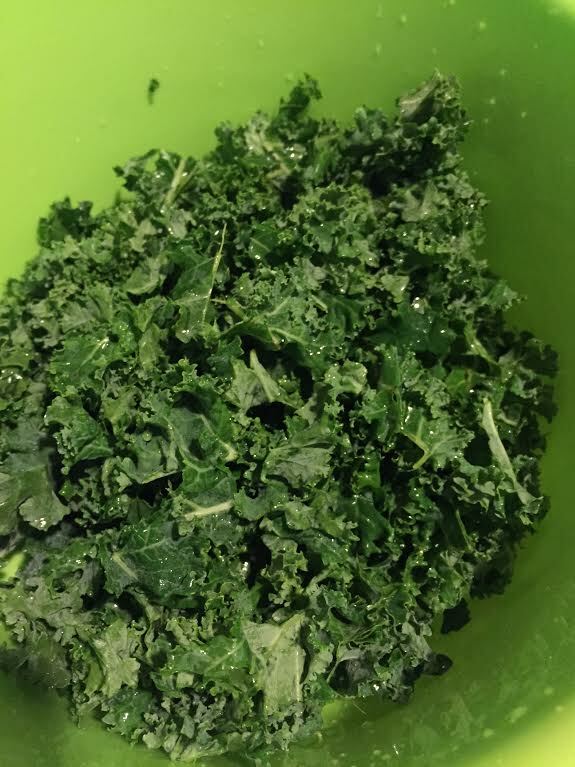 My latest recipe creation is for Kale and Bean Soup. It’s hearty, filling and vegetarian-friendly. It’s perfect for a cold weekend day. as much as you’d prefer of the following spices: adobo, chili powder, basil, parsley, salt, pepper, cayenne pepper and rosemary. Throw the onion and garlic into a pan with 1 tablespoon of oil and cook on medium until lightly browned. Throw the onion and garlic from the pan into the crock-pot. 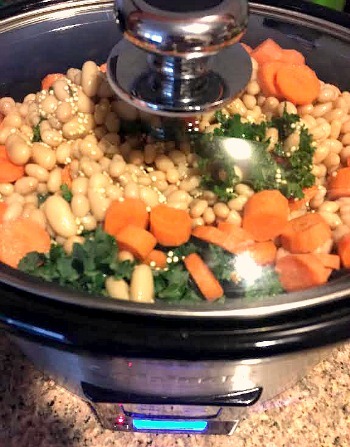 Throw everything else (all chopped vegetables, spices and both) into the crock-pot. When using the crock-pot, I always recommend making large quantities so that you can freeze the leftovers and use it for lunches or dinner later in the month. After finishing this recipe, I decided to keep out just enough for my boyfriend and I to each bring soup for lunch. I divided what was left into 3 lunch-sized containers and put them in the freezer so that I have lunches (ready to go) for next week and later in the month! Comment below sharing your opinion, willingness to try it and any additions you have in mind!